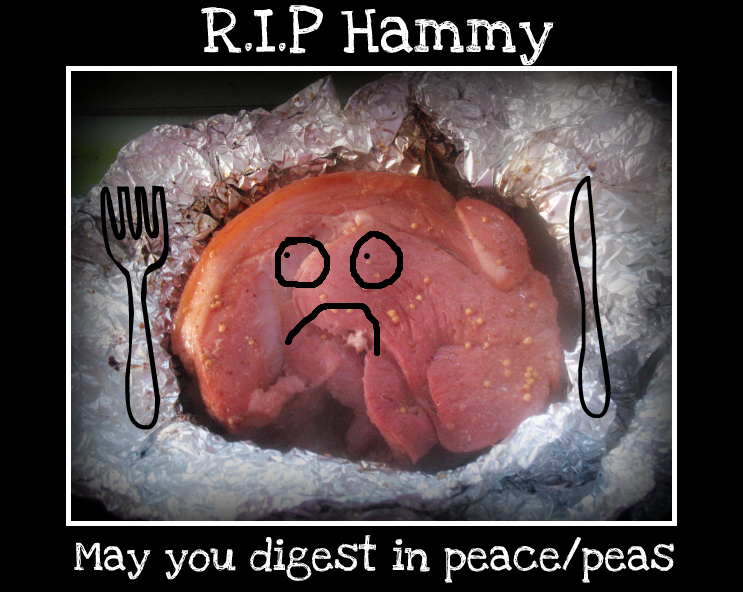 Hammy you were a delicious Ham, alas there is only just enough left for a sandwich and then you will be gone forever. Your brother/sister in the freezer will be smothered in extra honey and mustard next time and will be soaked overnight in the cider ( for extra nom nominess). The mumborg was kept in yesterday after the A/E department deicded to spend hours coming to the same conclusion that was written on the notes she went in with. Yet again some of the staff in that department treat you like a naughty child and will not listen to anything you have to say. I think the mumborg needs a badge saying 'I have been coming here for over 20 years and I know what I am talking about'. So at some point today they will try and put in another PICC line , which will no doubt prove tricky, then they should send her home. Once home she will continue her antibiotic therapy for another few weeks, if all goes well and then it will be back to physio. Now I need to stop fannying about on here and do some ruddy college work. Still hamming it up over here I see! Poor Hammy, he looks so sad to have been cannibalized! Sorry to hear that the Mumborg is having even more problems. Hope they can get that PICC line in and let her go home again soon. I should offer Hammy's kin sanctuary over here...they'd be safe! Hope all goes well with the mumborg's new line. fun food photos - say that with hammy in your mouth. Interesting blog - is mumborg doing OK?? Those photos of her leg are awful. Wish her the best. Rest in peas ... I'm seriously starting to worry about you. Sorry Momborg is having more probs ... and yes I think she does need that badge! And a t-shirt, maybe a hat.